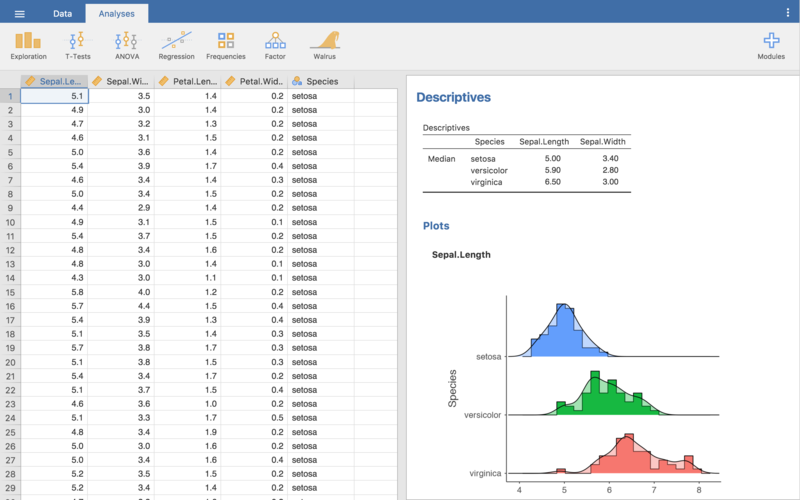 jamovi is a free and open statistics package, which is easy to use, and designed to be familiar to users of SPSS. It provides a spreadsheet editor, and a range of statistical analyses. 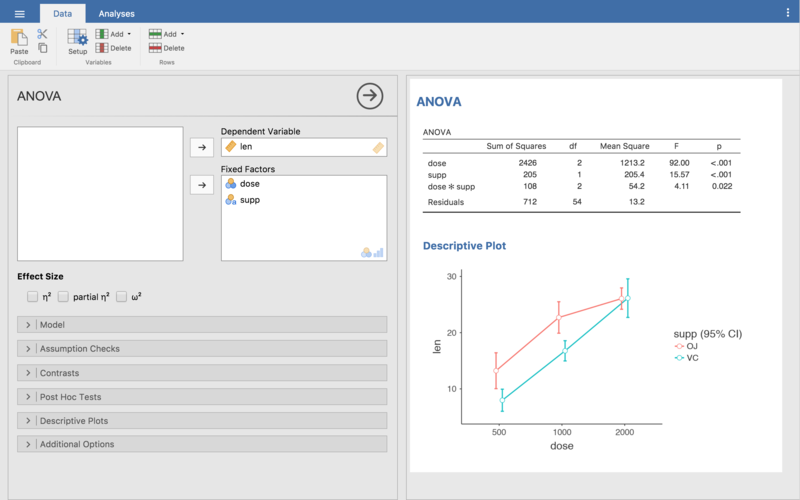 jamovi can provide R syntax for each analysis that is run, and additional analyses for jamovi can be developed using the R language. Come visit us at jamovi.org.